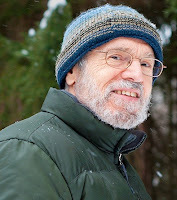 The following is a guest post by Ira Rabois, author of Compassionate Critical Thinking: How Mindfulness, Creativity, Empathy and Socratic Questioning Can Transform Teaching. For too many of our children, unconditional love, and a sense of security and safety, are more of a yearning than a reality. They need to learn how to be kind, compassionate and non-judgmental to themselves so they can more easily show it to others, and the classroom provides a golden opportunity to practice this. One of the most valuable lessons a teacher can teach is how to be a friend to yourself and to others. You teach this when your classroom functions as a mindful learning community and when students cooperate in their own education. It needs to be taught through modeling by the teacher as well as through designed lessons. What do you want from a friend? What does the word ‘friend’ mean to you? Then ask students if they would like to go deeper with this question. If they answer affirmatively, ask them to sit up comfortably and close their eyes partly or fully. Gently, place your attention on your breath. Breathe in, letting your body expand, be nourished by the air. Then breathe out, noticing what it’s like to let go of the air and any tension, and to settle down. Do that for another breath or two. Then think of the word ‘Friend.’ What words describe for you what being a friend means or what marks a person as a true friend? What thoughts, images, feelings? Simply notice what arises and move on to the next word or breath. Think of any books you’ve read or movies you’ve seen that describe a good friendship. What characters come to mind? What makes him or her a friend? How does one friend treat another? Take one more breath and then return your attention to the classroom. Write down what you heard or saw in your mind. With the whole class, or in small groups, let students share what they feel comfortable sharing about the experience. List on the chalkboard the words that students say they associate with being a friend. What marks someone as a friend? Did honesty come to you? Care? Stimulating conversation? Loyalty? Loyalty can be a mixed bag. You don’t want yes-men or women. You don’t want fakes. Do you do want someone who values who you are, not who they want you to be? Do you want someone who will think of your well-being as being as important as their own? In my book, Compassionate Critical Thinking, I describe a class with students I knew well, where we listed emotion words. We had two columns. In one, we named emotions frequently experienced. In the other, we had ones infrequently experienced. The lists grew long. It took two days to process the lists. In another course, we listed emotions of approach and opening. Just seeing the long lists was eye- or heart-opening, as were the discussions. For me, my friends are central to my life and my identity. The quality of my life would be considerably poorer without them. As Aristotle and millions of others have said, we are born to be social. We are born to live closely with others. A friend is someone you can talk with easily and share feelings and thoughts. To do this, there is little pretense. You can let down your guard and be real, honest. By trusting this other person, you trust yourself. By seeing who this other person is, you see yourself better. For kids growing up in today’s world, it can be confusing to figure out what a friend is. Were you ever confused about who was truly a friend or what was expected of you as a friend? 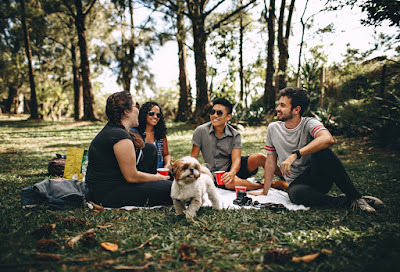 Many use the word ‘friend’ to describe acquaintances, relatives, and people they hardly know, as well as those they spend time with daily ⎯ or want to spend time with daily. They might brag about the numbers of “friends” they have on Facebook or other social media platforms, and keep track of many people. But do they really know any of them? They don’t want to miss out. But what are they really missing? Although you might follow a friend’s life on a social media screen, he/she is someone who ultimately pulls you from that screen. What is most important to you ⎯ is it how many friends you have on social media? Or the quality or depth of the friendship? What happens if you focus on numbers, or on choosing friends because of what others might think of them, not on what you truly feel? I think this is how people get lost. They focus on numbers, not quality; on how the friendship appears to others, not on what actually goes on inside their mind and heart. They lose a sense of who they truly are, of their own agency and strength. Sit up in your chair and take a deep, nourishing breath in. Then let it out. Focus your attention inwards, as if you were watching your own inner movie. Is there someone you know or have met who treats people with kindness and care? Maybe a friend or someone you would like to be friendly with, someone you would like to speak with in person? Or it can be someone you read about or saw in a movie. Allow the image of this person to come to you and simply hold it in your mind. Notice how he or she looks and stands. Their posture. Imagine greeting this person. He or she has feelings just like you do, thoughts like you do. The content and direction of those thoughts and feelings might be different from your own, but the fact that they feel, and think, is something you share. We all need others. And as you honor and respect how they are different from you as well as what you share, you honor your own thoughts and feelings. Imagine a ball of warm, comforting light above your head. If it is difficult to imagine a ball of light, imagine a miniature sun, or a light bulb. The ball consists not only of warmth, but understanding, kindness, companionship and joy. Imagine the light goes from you to this other person, bathing the person in light. Imagine her or him receiving it. What might it feel to receive such a message? Imagine yourself receiving, being bathed in this ball of warm, comforting light. Imagine the warmth on your face, then moving down to your neck, shoulders, arms, and feet. Simply sit with the feeling of warmth. Now take a deep and calming breath in, and let it go as you breathe out. Let go of the images and thoughts and gently return to the classroom, knowing you can remember what you imagined any time you need to do so. The more you are aware of your feelings, thoughts, and motivations, and aware of the other person as an independent, feeling person with his or her own wants and ways of looking at the world, the more likely you will be able to form a lasting friendship. Many young people nowadays can arrange time on snapchat or Facebook but can’t arrange actual face time. To make such arrangements, you need to see yourself doing it. And you can do this very consciously. If you know your students well and feel comfortable doing so, you might have them first imagine a potential friend they might like to ask to go on a walk, or to a store or wherever. Then imagine how they might ask the person. Alternatively, you can have a discussion in class about how to arrange activities with friends. Before giving these practices to students, practice them yourself. They must be real to you in order for you to make them real to others. And then close your eyes and hold in your mind and heart an image of your students doing the exercise. Notice if you feel comfortable leading the students. If you feel discomfort, is it because the students aren't ready or because you aren't yet ready yourself? Imagine being a friend to yourself. What does that mean to you? Maybe imagine being kind and comforting with yourself. Imagine listening to your own thoughts, learning from them, and letting them go after they are spoken. You don’t simply believe or repeat a thought. You just listen and let go. When you’re with a good friend, you’re with someone who values your presence in their life. Imagine feeling that presence each day, except you are the one who values you. By practicing mindful inquiry and empathic imagination, you understand yourself better. You hear your thoughts, feel your feelings, and embrace your reality. The key to hearing your thoughts and embracing your reality is how you respond to whatever arises in your life. This is also the key to befriending yourself. You don’t automatically believe or repeat a thought that popped into your head. You just notice and let it go. When you get lost in a practice, or you make a mistake and realize it, instead of believing any judgmental thoughts that arise, or any thoughts about how wrong or bad it is that you get lost, you instead simply hear the thoughts and let them go. You recognize that we all get lost. Getting lost is part of the process of getting found. If we hold on to self-judgment, we never fully hear ourselves. If you are strong enough to hear your own words and embrace your own reality, you are more likely to embrace that of others. In my opinion, you can’t form friendships out of feeling empty or lacking. You form friendships out of the strength and ability you have to care about, and give to, others. And it is this strength that a well-rounded education fosters. Ira Rabois has many years of experience as a secondary school teacher, instructor in the traditional Japanese martial arts, and meditation practitioner. While teaching for 27 years at the Lehman Alternative School in Ithaca, N. Y., he developed an innovative curriculum in English, Philosophy, History, Drama, Martial Arts, and Psychology, and refined a method of mindful questioning. He writes a blog on education and mindfulness. Mr. Rabois is the author of Compassionate Critical Thinking: How Mindfulness, Creativity, Empathy, and Socratic Questioning Can Transform Teaching.